West 10th Dental provides scaling and root planing services in NYC. Call 212-982-5883 to learn more and schedule your appointment. Scaling and root planing is a nonsurgical periodontal therapy and has been called a deep dental cleaning procedure used to treat gum disease. Most of the time, it is needed after a few missed cleaning appointments, but if you are predisposed to gum disease, it may become necessary despite your best efforts at oral hygiene. 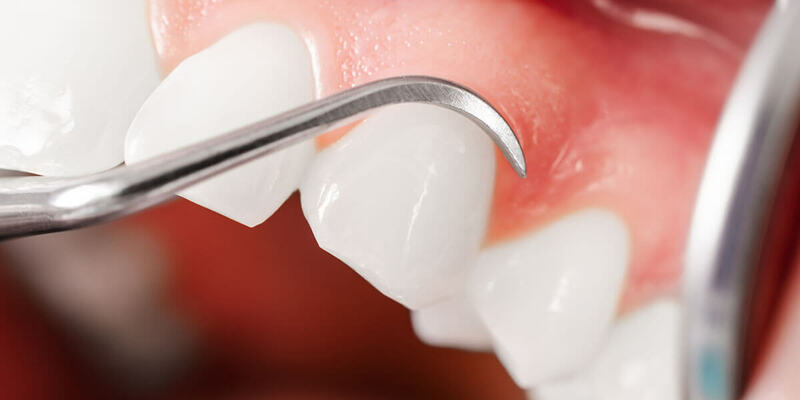 Scaling removes plaque and tartar from beneath the gums using specialized instruments, while planing cleans and smooths the tooth roots after scaling is complete. This allows the gums to heal and reattach themselves to clean, smooth, healthy tooth root surfaces. During your comprehensive oral exam, we use a probe to check the depths of the pockets between your teeth and your gums. In a healthy mouth, these pockets should be no more than 3 millimeters deep. This is the depth that a toothbrush and dental floss can reach, allowing you to keep your mouth healthy and fresh. If the pockets are deeper, though, you will need scaling and root planing to remove plaque and tartar and halt gum disease. Pockets of 4 to 5 millimeters generally indicate gingivitis, the earliest stage of gum disease, while pockets that are greater than 5 millimeters in depth are a sign of periodontitis, more advanced gum disease that can impact the bone. The first step is to numb your mouth with local anesthesia. This will keep you comfortable during the procedure. We may use a variety of different manual, electric, and ultrasonic tools, depending on your needs. With scaling and root planing, we can halt and even reverse gum disease. We might prescribe an antibacterial mouth rinse for you to use for several days or weeks to keep the pockets clean. In most cases, the pockets reduce once they are entirely clean and healthy. Once you have had gum disease, you are high risk for its recurrence. While most people receive a dental cleaning every six months, we will ask you to return every three months. Scaling and root planing will not need to be repeated unless you develop deep pockets again, but more frequent regular dental cleanings, along with scrupulous home care, are the keys to ensuring that this does not happen. Scaling and root planing sounds ominous, but it is actually a simple and common deep cleaning procedure for those with gum disease. If it has been a while since your last cleaning, it is worth coming in for a comprehensive oral exam. Gum disease is progressive, and it can eventually lead to tooth loss. With scaling and root planing, though, we can halt its progression and reverse the damage.